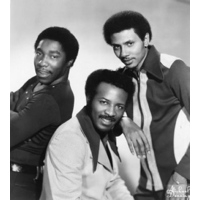 The O'Jays are a Canton, Ohio based soul and R&B group, originally consisting of Eddie Levert (b. June 16, 1942), Walter Williams (born August 25, 1942), William Powell (January 20, 1942–May 26, 1977), Bobby Massey and Bill Isles. The O'Jays were inducted into the Vocal Group Hall of Fame in 2004, and The Rock and Roll Hall of Fame in 2005. The O'Jays had their first hit with "Lonely Drifter", in 1963. In spite of the record's success, the group was considering quitting the music business until Gamble & Huff, a team of producers and songwriters, took an interest in the group. With Gamble & Huff, the O'Jays (now a trio after the departure of Isles and Massey) emerged at the forefront of Philadelphia soul with "Back Stabbers" (1972), a pop hit, and topped the U.S. singles charts the following year with "Love Train".